This crochet star begins with a simple square! 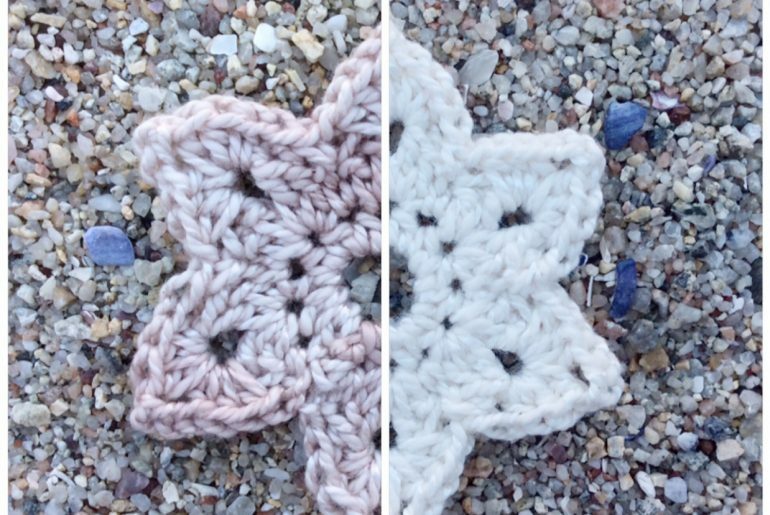 JR Crochet Designs shows us how to work around the square to make a star shape that you can use as a crochet blanket or rug. Speaking of which, have you seen the earlier post rounding up ripple star crochet blankets?! Of course, you can also attach a star shape to a basic square if you are actually seeking a square-shaped crochet pattern for a more traditional blanket (or scarf, pillow, etc.) 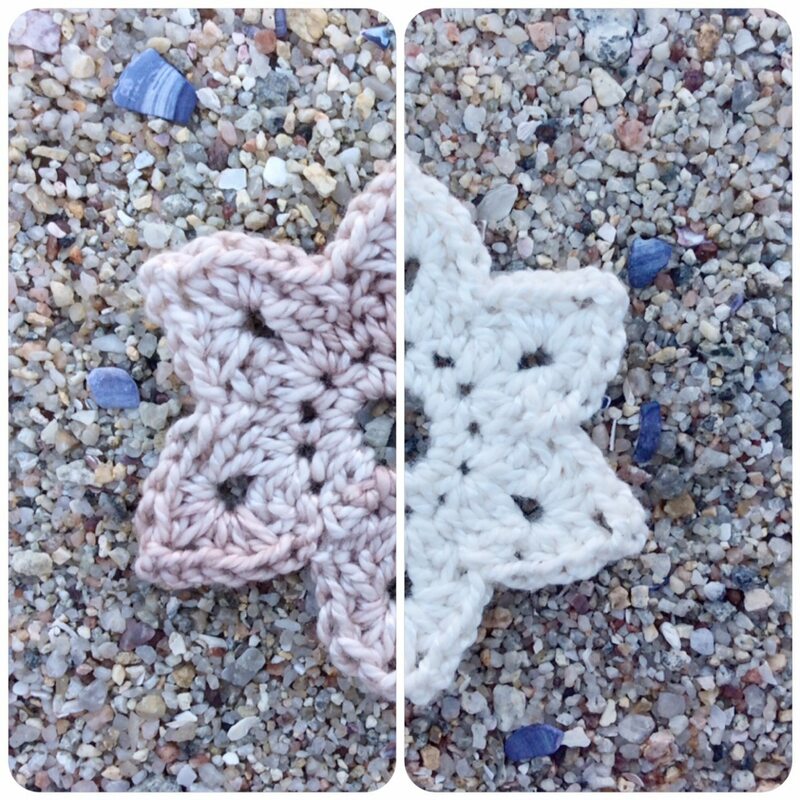 This free crochet square star pattern is from Twilight Taggers. This T-shirt yarn crochet star free pattern comes from Crochet in Paternoster who always makes great things using t-shirt yarn. Of course you can use the pattern with any type of yarn to get different types of stars. This star was previously posted in my roundup of Unique Crochet Motif Patterns. 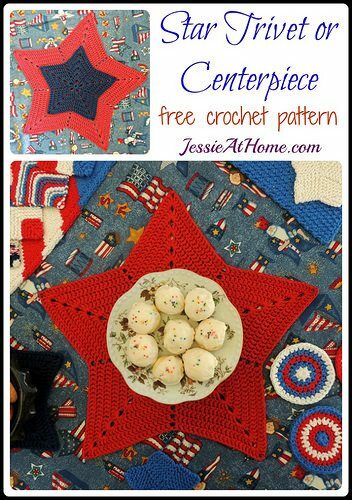 Jessie At Home created this Star Trivet Free Crochet Pattern as a patriotic pattern to be used for Fourth of July picnics and parties. 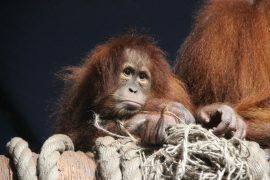 However, it could easily be adapted for use all throughout the year. Combine red and green yarn for a Christmas placemat, for example. 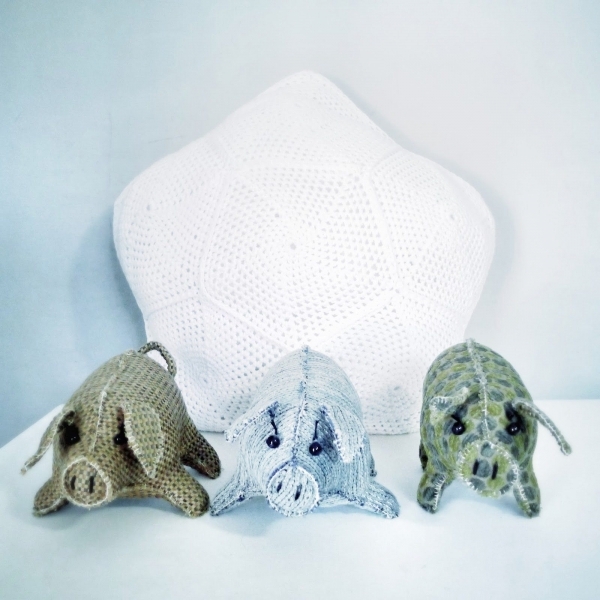 This was originally shared in my roundup of 60 creative Crochet Patterns for the Home. 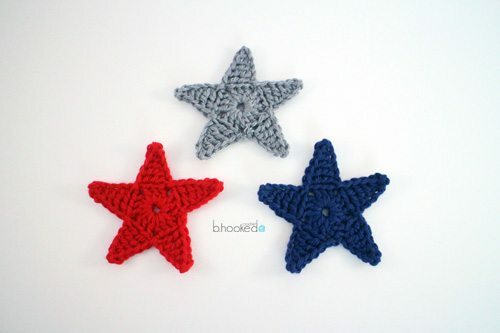 If you are looking for a simple small crochet star pattern, look no further than the free crochet star applique pattern from B.hooked Crochet. 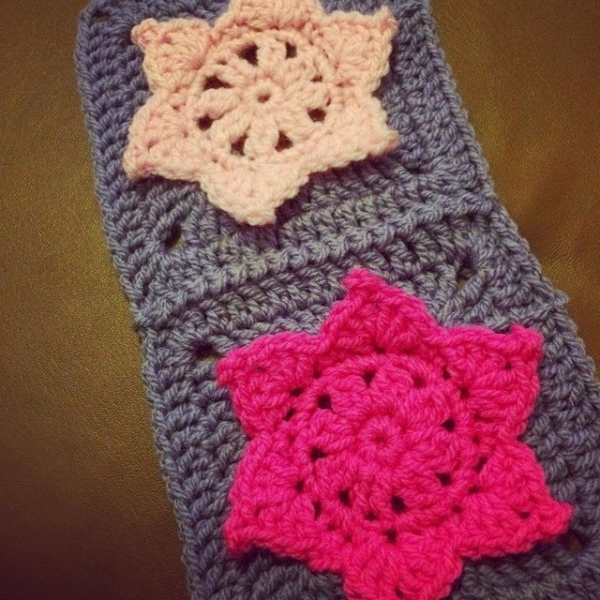 This pattern was shared last year in my roundup of 100 free 2015 crochet patterns. This is another simple crochet star pattern, free from HomeLife. 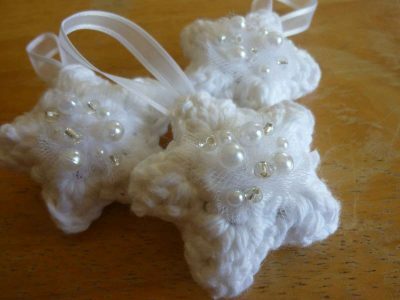 Want to make really small crochet stars? 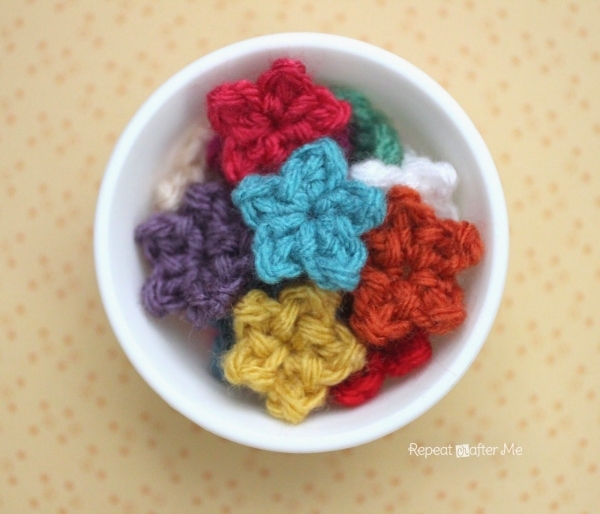 Here’s a teeny tiny crochet stars pattern free from Sarah of Repeat Crafter Me. These could be adhered to greeting cards for a special touch, used to make jewelry or just kept in a bowl as beautiful decoration. Great way to use up scrap yarn! Pigtails shared a free crochet pattern for a simple crochet star pillow. 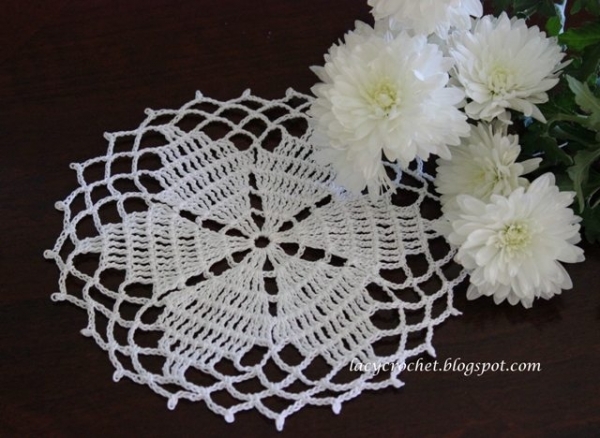 Here is a star doily free crochet pattern from Lacy Crochet. 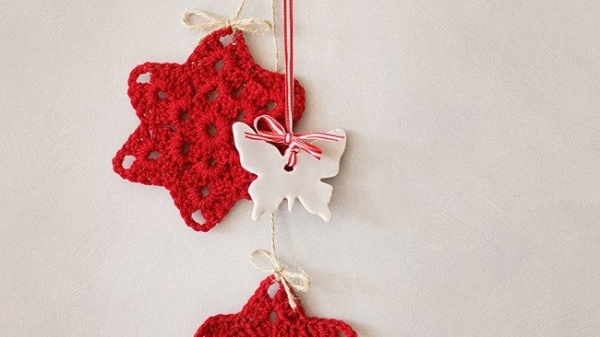 This free crochet star ornament pattern was created by Crochet Dynamite as a wedding favor gift idea but it would also work for Christmas decorating. 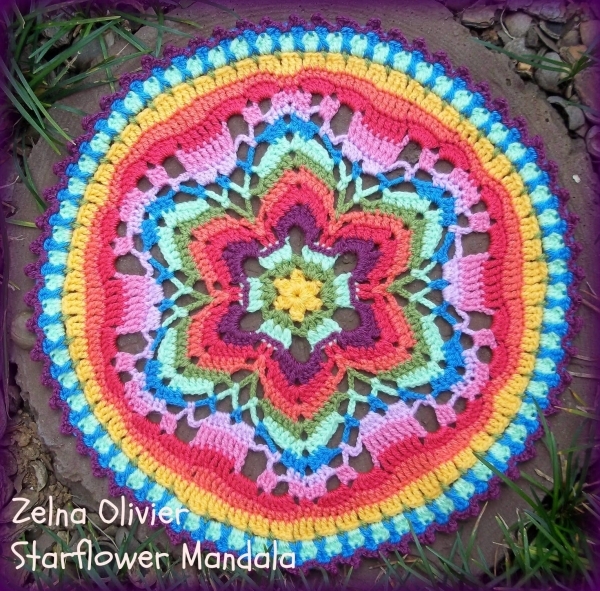 The starflower crochet mandala free pattern from Zooty Owl has a star at the center of it. It’s a great option for a circular star … or you could stop before it rounds out if you just want to create the star portion of the design! 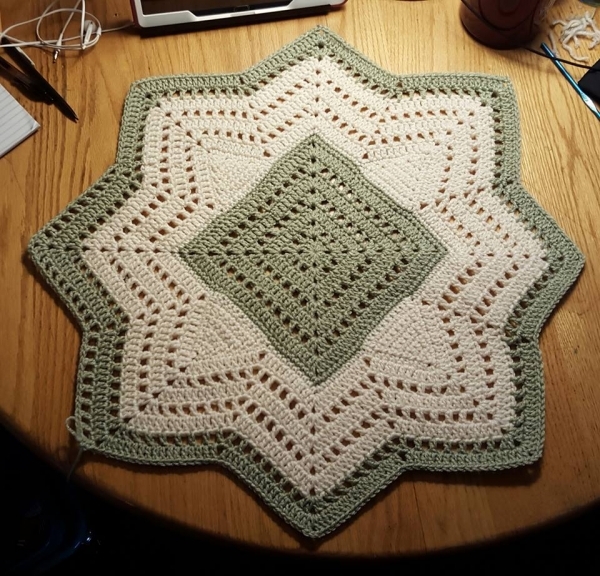 Likewise, another great option is the starry mandala crochet pattern for sale from Agrarian Artisan. 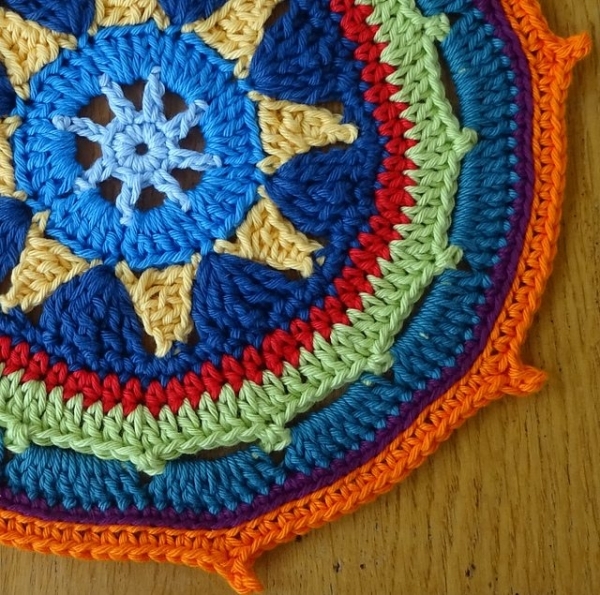 This was previously shared in my roundup of 40 crochet mandala patterns. Stars can be worked into designs in many different ways. 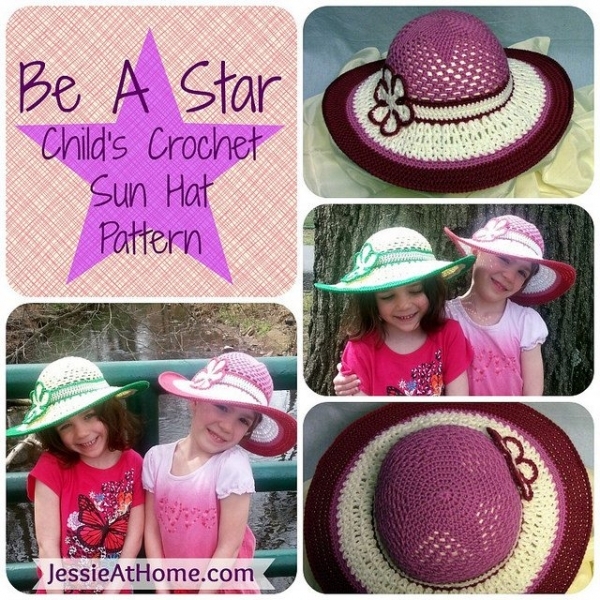 This beautiful crochet sun hat free pattern by Jessie At Home has a star as the center of it, which you see when you look down on it from above. 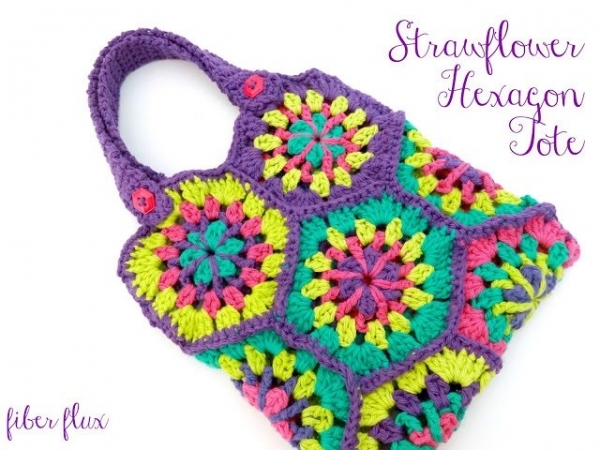 Fiber Flux offers a free crochet pattern for a star-inspired hexagon and then shows how to use it to create this cute tote bag. 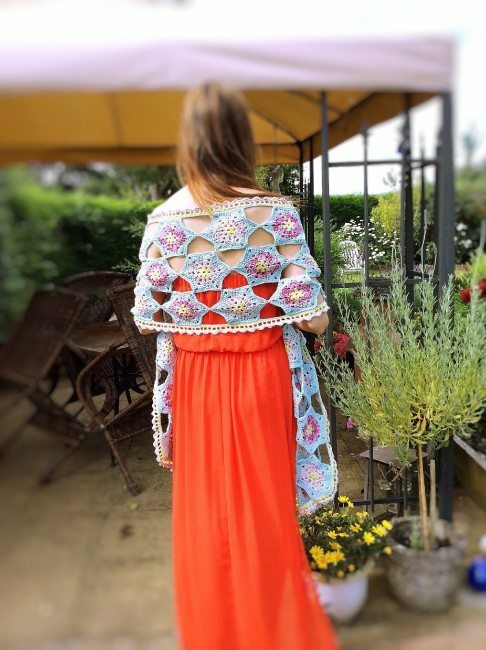 The Moya Star Shawl crochet pattern for sale from Made with Loops shows how a set of stars can be combined in rows to create accessories. 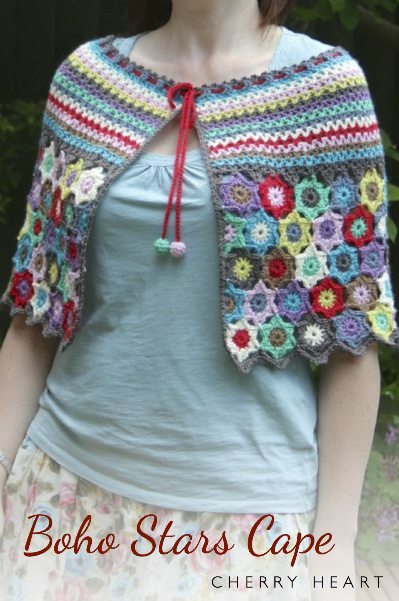 This was previously shared in my roundup of 20 pretty crochet shawl patterns. This star motif crochet shawl by Kristin Omdahl is another pattern that shows this approach. 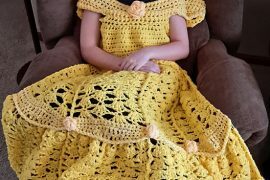 This crochet pattern can be found in her book Crochet So Fine. This was previously shared in my roundup of best crochet shawl designers as well as in my roundup of 100 unique crochet shawls. The starstuff free crochet cowl pattern from Tamara of Moogly is another example of how stars can be combined to create accessories; this one uses small stars an unique yarn! 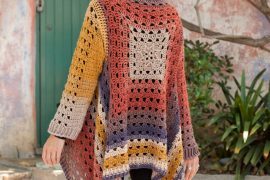 The boho stars crochet cape pattern for sale by Cherry Heart takes a similar idea but uses a less openwork design and combines the stars with stripes for a beautiful design. 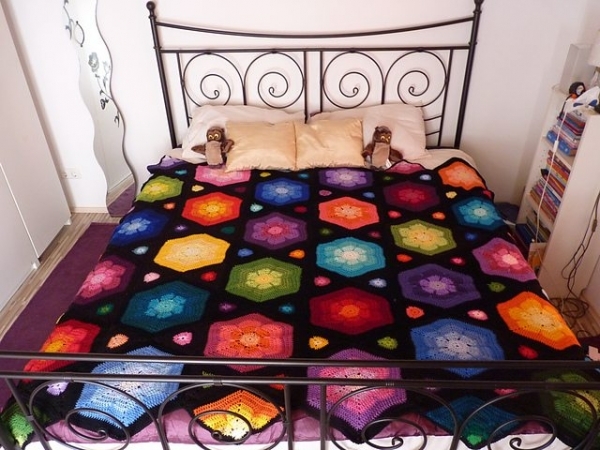 One of my favorite crochet star patterns is the Stars and Flowers crochet blanket pattern for sale by Gingerbread Lady Designs, which I shared previously in my roundup of quilt-like crochet blanket patterns. 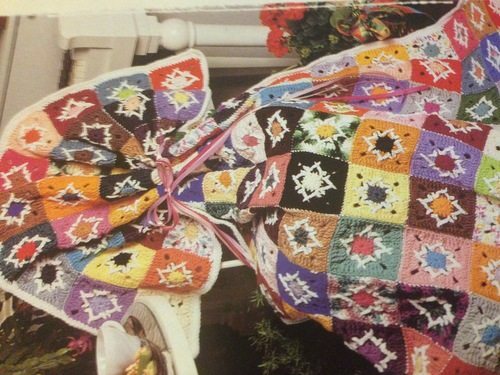 Another great star crochet blanket pattern is this one that could be found in the vintage book Afghan Traditions. The Little Starburst Dishcloth by Blooming Patterns is a free crochet pattern that uses a unique stitch that looks a bit like a star. 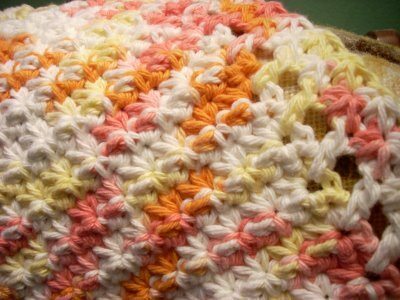 This pattern was previously shared in my roundup of 20 best crochet dishcloth patterns. And then of course there is crochet star stitch. 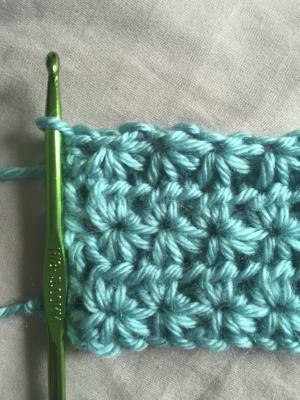 Learn how to crochet star stitch and then check out 15 free crochet star stitch patterns to expand upon the idea!